If you haven't read Shadow and Bone yet, this would be the time to stop reading. The short version? 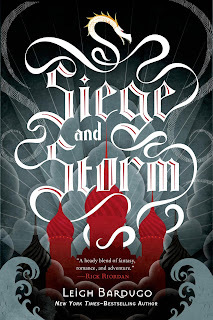 If you've read Shadow and Bone you definitely want to pick up a copy of Siege and Storm. It's easy to fall back into Alina's world and despite there being a decent amount of traveling, it's not hard to keep up. Did I mention that there's plenty of action too? Because Siege and Storm definitely doesn't disappoint on that front. You'll already be familiar with most of the characters in Siege and Storm but you'll also get to meet a few new ones--perhaps most importantly, Sturmhond. Honestly, if I were going to have to give you a reason to read Siege and Storm? Sturmhond would rank very, very high on the list of reasons. 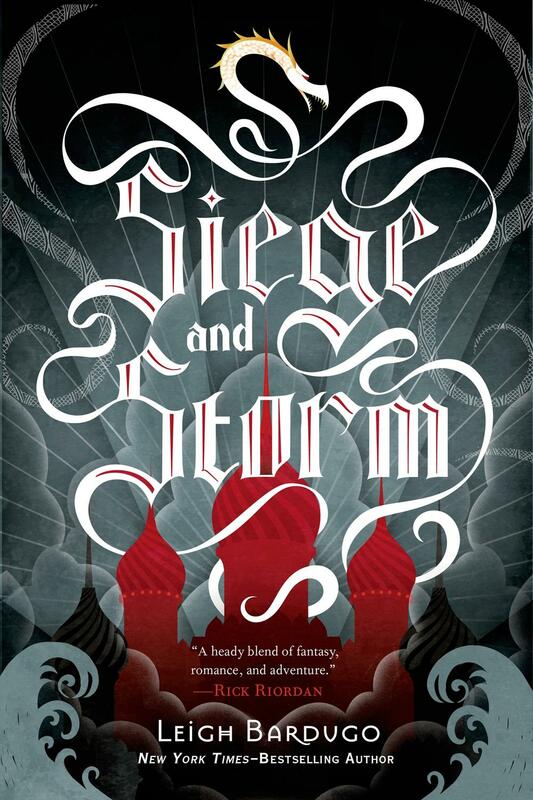 He's charming, adapts to the situation at hand, and you'll have to read Siege and Storm to see why I like him so much. No, really. I can't say anymore than that (and if you've read Siege and Storm already, well, you know why). On top of that, you'll get a healthy dose of Mal and the Darkling. Regardless of who you like? Well, prepare yourself. I know I'm really not touching on the plot for Siege and Storm but it definitely delivers. I just really don't want to give anything away. Not even on accident. Publisher: Henry Holt & Co., a part of Macmillan. Received for review via NetGalley. Wow. Everyone seems to really love this sequel. I need to get started not his series. I’m glad you enjoy this series! I've been meaning to start it. Thanks for the great review! I would read this book for the cover alone. Gorgeous! Incidentally, that goes for your entire blog. The design is really beautiful.